﻿﻿Though the Great Texas Birding Classic is postponed till 2013, many other events offer wondrous bird-watching opportunities. 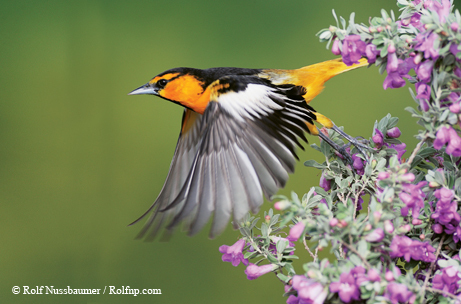 ﻿﻿﻿﻿﻿﻿﻿In the spring, neotropical migrants spread their dazzling wings and leave their warm winter homes in Latin America. Some stop on the Texas coast; others fly inland. Birders flock to the hot spots, hoping for a sighting of a feathered rarity to add to their lifetime list. In addition to the events below, state parks host frequent birding activities. Check the “Birds, Bats and More” section of www.tpwd.state.tx.us/calendar for a listing of all the wonderful bird walks, owl prowls, bird identification classes and more offered at state parks around the state, including the World Birding Centers. Additional events at the Texas Freshwater Fisheries Center and Sea Center Texas can be found at “Site Calendars” on the main calendar page. Wetlands Education Center Tours — The University of Texas Marine Science Institute, Port Aransas. Stroll the boardwalk at this 3.5-acre center, which contains a marsh/seagrass pond landscaped and planted with various seagrasses and coastal vegetation, to observe migratory waterfowl and resident marsh birds. 10 a.m. Free. (361) 749-6764; www.utmsi.utexas.edu/outreach/wetlands-education-center.html. Birding on the Boardwalk — Leonabelle Turnbull Birding Center, Port Aransas. Enjoy a weekly guided birding tour of the boardwalk, where a variety of wetland species can be seen. 9 a.m. Free. (361) 749-4158; www.portaransas.org. Beginners’ Bird Walk — San Antonio Audubon Society, San Antonio. For beginners and newcomers to the area. Some binoculars available to borrow. 8 a.m. (7:30 a.m. in June and July). Free. (210) 308-6788; www.saaudubon.org. Monthly Bird Walk — San Antonio Botanical Garden, San Antonio. Enjoy birds in native habitats during a morning bird walk led by an experienced guide. Please bring binoculars if you have them. Ages 10-plus. 9 a.m. Walk is included with admission fee; free for Botanical Society members. (210) 207-3255; www.sabot.org. Quintana Sanctuary Spring Fling — Quintana Sanctuary, Quintana. Gulf Coast Bird Observatory staff and volunteers assist with bird identification, provide local information and bird checklists, sell snacks and field guides and post a daily bird list. The station will be operated daily during the month of April. 9 a.m. to 4 p.m. Free. (979) 480-0999; www.gcbo.org. Photography Tours and Workshops — Laguna Atascosa National Wildlife Refuge, Los Fresnos. 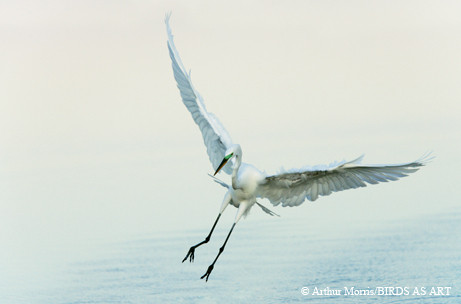 Learn how to take great bird and wildlife photos in a workshop or tour the refuge with a skilled photographer. April 14 and May 11. Registration and fees apply. (956) 748-3607; www.friendsofsouthtexasrefuges.org. Discover Hummingbirds with Cliff Shackelford — Trinity River Audubon Center, Dallas. 7-8 p.m. Free. (214) 309-5801; www.trinityriveraudubon.org. Spring Migration Wildlife Photo Tour — Fennessey Ranch, Refugio. Work with a professional photographer and degreed biologist to capture images of migratory songbirds and other wildlife. Dawn and dusk. Half-day for $200, one day for $300, two days for $400, three days for $500; group discounts available. (361) 529-6600 or (281) 398-7100; www.fennesseyranch.com. Vida Verde (Earth Day Festival) — Quinta Mazatlan, McAllen Wing of the World Birding Center. Event includes live animal presentations, an organic farmers market and cooking demonstrations, green living expo, trail walks, children’s arts and crafts, live entertainment and more. 9 a.m. to 4 p.m. $2 per adult; $1 per child. (956) 681-3370; www.quintamazatlan.com. Blucher Park Bird Walks — Blucher Park, Corpus Christi. Bird Blucher Park and the expansive lawns behind the two Blucher homes . If needed, participants will be guided through the park and assisted in bird identification by the Audubon Outdoor Club of Corpus Christi. 7:30-10:30 a.m. Free. (361) 443-0744; www.ccbirding.com. Bird Banding in the Park — San Saba River Nature Park, San Saba. Nature lovers are invited to watch bird banders set up mist nets to capture and document birds caught. Birds will be removed from the nets and then released after data is collected. 8 a.m. to noon. Free. (325) 372-7615. Wings Over the Hills Nature Festival — Fredericksburg. Participate in a naturally wonderful weekend dedicated to the varied winged wildlife of the Hill Country: birds, butterflies, dragonflies, bats and bees. Lectures, field trips and events suitable for all ages. (830) 998-1927; www.wingstx.org. Adopt-a-Beach/Estuary Cleanup — Galveston. After trash pickup, preserve birders discuss and report observation highlights with volunteers over lunch. Species count typically exceeds 100 for the morning. Free; reservations requested. www.scenicgalveston.org. Woodland Walkabout — Quinta Mazatlan, McAllen Wing of the World Birding Center. Enjoy a guided tour along the trails surrounding the historic adobe mansion, taking in the sights and sounds of our Valley specialty birds and many other resident and migratory birds. 10-11 a.m. $2 per adult; $1 per child. (956) 681-3370; www.quintamazatlan.com. Balcones Songbird Festival — Balcones Canyonlands National Wildlife Refuge, Lago Vista. Festival includes opportunities to view two Texas endemic endangered birds as well as butterflies and wildflowers on specialty birding tours and nature walks. Includes educational presentations on a variety of topics. http://friendsofbalcones.org/festival. Texas Ornithological Society Spring Meeting — Port Aransas. Join the spring meeting of the Texas Orni­thological Society, including field trips to local migration hot spots. $35 for TOS members, $60 for nonmembers. www.texasbirds.org. Warbler Identification — Dogwood Canyon Audubon Center, Cedar Hill. Warblers are colorful and extremely active birds that flock in large groups during spring and fall migrations. 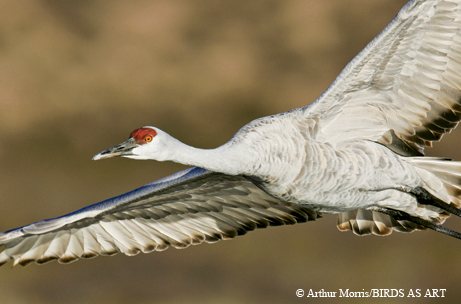 Learn to identify these amazing birds with ease and confidence. 8-11:30 a.m. Free. (469) 526-1980; www.dogwoodcanyonaudubon.org. Birds and Bottomlands Blitz: Insects of the Bottomland Forest with Ed Barrios — Gulf Coast Bird Observatory, Lake Jackson. 9-11 a.m. Free. (979) 480-0999; www.gcbo.org. Guided Bird Walk — Lewisville Lake Environmental Learning Area, Lewisville. This guided tour takes birders to some of the best locations to view many of the 270 species of birds documented at this 2,000-acre forest, prairie, river and wetland habitat, including areas not regularly open to the public. Birders of all skill levels are welcome; ages 10-plus. $7 per person. Reservations requested but not required. (972) 219-3930; www.ias.unt.edu/llela. International Migratory Bird Day — Santa Ana National Wildlife Refuge, Alamo. $3 per vehicle. (956) 784-7500; www.friendsofsouthtexasrefuges.org. Owl Prowl with Ben Jones — Trinity River Audubon Center, Dallas. 8-9 p.m. Free. (214) 309-5801; www.trinityriveraudubon.org. Endangered Species Day — Roma Bluffs World Birding Center, Roma. Learn about the importance of protecting endangered species and everyday actions you can take to help protect our disappearing wildlife and open spaces. 10-11 a.m. and 2-3 p.m. (956) 849-4930; www.theworldbirdingcenter.com/Roma.html. Endangered Species Day — Santa Ana National Wildlife Refuge, Alamo. $3 per vehicle. (956) 784-7500; www.friendsofsouthtexasrefuges.org. Bird Banding — Gulf Coast Bird Observatory, Lake Jackson. Volunteers collect baseline data on bird populations at the sanctuary. The banding station is an excellent opportunity to see birds up close and to learn about birds in our community. 8 a.m. to noon. Free. (979) 480-0999; www.gcbo.org. Endangered Species Day — Laguna Atascosa National Wildlife Refuge, Los Fresnos. Discover the important work being done at the wildlife refuge to save several of South Texas’ endangered creatures. $3 entrance fee per vehicle. www.friendsofsouthtexasrefuges.org. Open Gate at Warbler Woods Bird Sanctuary — Warbler Woods Sanctuary, Cibolo/Schertz. This private ranch offers varied habitat for birders to explore, with the opportunity to see many of the 280 documented species of birds (including 40 species of warblers). 7 a.m. to 7 p.m. Free. www.warblerwoods.org. Flying WILD Educator Workshop — San Antonio Botanical Garden, San Antonio. Flying WILD materials provide interactive, interdisciplinary, standards-based activities to help students understand the importance of migratory birds and their conservation. 9 a.m. to 4 p.m. $15 per person; registration required. (210) 207-3255; www.sabot.org. Birding Day Camp — Gulf Coast Bird Observatory, Lake Jackson. Camp will feature a variety of learning experiences including identifying birds, learning how and why birds communicate, sketching birds with a local artist, catching and examining wetland critters eaten by wading birds, conducting mini-research projects and graduating as a certified “bird scene investigator.” Registration required. $150 per participant in five-day camp. (979) 480-0999; www.gcbo.org. Hummingbirds Nature Night — Lady Bird Johnson Wildflower Center, Austin. Families can discover the world of hummingbirds through hikes in the gardens with bird experts, learn how to attract hummingbirds to your yard, go on a scavenger hunt to discover interesting hummingbird facts and spend time coloring the most common hummingbird species. Hands-on educational activities and displays for kids and adults of all ages. 6–9 p.m. Free. (512) 232-0100; www.wildflower.org/nature. Cibolo Nature Center, Boerne. First day is an educator workshop and second day is a facilitator training. July 5, 9 a.m. to 4 p.m.; July 6, 9 a.m. to 1 p.m. $15 per person; registration required. (830) 249-4616; www.cibolo.org. Birds of Prey Nature Night — Lady Bird Johnson Wildflower Center, Austin. Come see live birds of prey including owls and hawks. Take walks in the gardens with bird experts to learn about prime bird of prey habitat and how to spot birds flying above. Scavenger hunt, crafts and educational displays for the entire family. 6-9 p.m. Free. (512) 232-0100; www.wildflower.org/nature. Bird Banding — Gulf Coast Bird Observatory, Lake Jackson. Volunteers collect baseline data on bird populations at the sanctuary. The banding station is an excellent opportunity to see birds up close and to learn about birds in our community. 8 a.m. to noon. (979) 480-0999; www.gcbo.org. Junior Ranger Program — Roma Bluffs World Birding Center, Roma. Kids 6-10 years old are welcome to take part in fun activities including projects with owl pellets, microscopes, water testing, animal tracks, animal skulls, pelts, nature games and more. Space is limited to six participants per date; registration required. 10 a.m. to 2 p.m. (956) 849-4930; www.theworldbirdingcenter.com/Roma.html. After 15 years of raising awareness of birding and raising money for avian habitat projects in Texas, the Great Texas Birding Classic will be suspended for 2012 because of economic conditions, including budget cutbacks at TPWD and a reduction in federal dollars. This was a very difficult decision for TPWD and for the Gulf Coast Bird Observatory, the organization that has co-hosted this popular event for seven years with TPWD. The silver lining is that TPWD has agreed to resume the Great Texas Birding Classic in 2013 with plans to expand it to a re-envisioned statewide event. For those unfamiliar with the Birding Classic, this event has raised $789,000 for on-the-ground avian habitat conservation projects and has attracted hundreds of birders to Texas from all corners of the United States and overseas. The Birding Classic also provided an opportunity for birders of all ages to compete in the longest bird watching event in the country, with one-day and weeklong categories for experts, beginners and even blind birders. Stay tuned to the Birding Classic website (www.tpwd.state.tx.us/gtbc) or send an e-mail to gtbc@tpwd.state.tx.us to be added to email updates as plans unfold for the 2013 Great Texas Birding Classic. As they say, “when one door closes, another one opens,” so we look forward to the continued support of the many individuals, past participants and organizations as well as many new groups as we work to develop a new model for this important birding event.